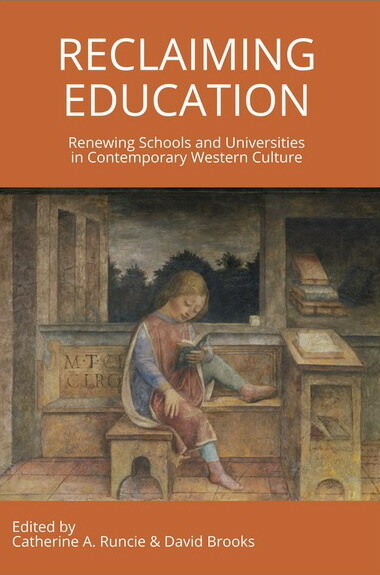 Reclaiming Education: Renewing Schools and Universities in Contemporary Western Culture, edited by Catherine A. Runcie & David Brooks (Edwin H. Lowe Publishing, 2018). This book is a series of essays by distinguished scholars concerned with the improvement of primary, secondary, and tertiary studies, most especially in arts but also in mathematics and science. 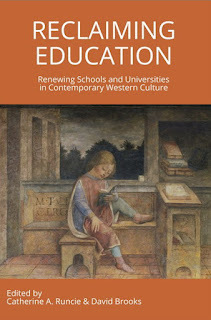 It is concerned with past ideas about education in Australia, most particularly with the traditions that have yielded an education that has proven most beneficial to Australia in terms of comparison with other countries; and it advocates and emphasises how this tradition can be maintained and improved in specific ways. 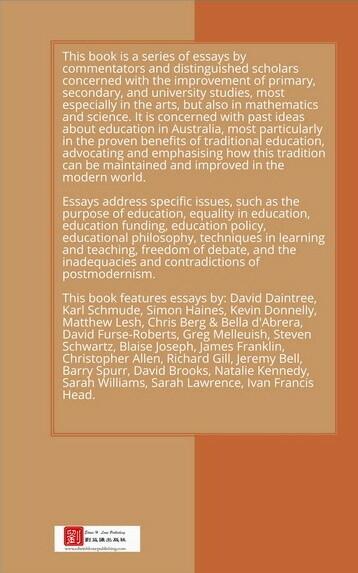 Essays focus on primary and secondary education in music, and art, mathematics, history and the classics, on the improvement of memory and vocabulary, but more particularly on university education, discussing the purpose of education, learning in general, the use of the seminar, the necessity of freedom of debate, the inadequacies and contradictions of French and Anglo-post modernism, the teaching of history, of philosophy, and its branch aesthetics, mathematics, equality in education, teaching at university and funding of the whole enterprise. The authors are all well known in their disciplines and some are experts, internationally recognised in their fields. This book features essays by: David Daintree, Karl Schmude, Simon Haines, Kevin Donnelly, Matthew Lesh, Chris Berg & Bella d'Abrera, David Furse-Roberts, Greg Melleuish, Steven Schwartz, Blaise Joseph, James Franklin, Christopher Allen, Richard Gill, Jeremy Bell, Barry Spurr, David Brooks, Natalie Kennedy, Sarah Williams, Sarah Lawrence and Ivan Francis Head.